In 2013, pundits criticized the Obama administration for spending nearly $280,000 a year on three White House calligraphers. Here’s what you need to know about every art major’s dream job. 1. They’re a White House staple. Calligraphers have worked at the White House since John Adams started sending guests fancy dinner invites back in 1801. Proclamations, citations, military commissions, special announcements, menus, place cards, invitations, official greetings, and even signs for the White House vegetable garden. One day, a calligrapher might inscribe the name of the Presidential Medal of Freedom winner. The next, they might pen a menu for a visiting monarch. 3. Like other experienced civil employees, they get paid handsomely. The chief calligrapher makes $98,669. Considering that nearly every head of state in the world handles their artwork, we think it’s worth it. 4. Hand cramps can’t stop them. During Clinton’s tenure, the White House hosted more than 100,000 official guests. On a typical day, calligraphers may make hundreds of place cards just for meals. 5. November is the toughest month. That’s because the White House is prepping for an onslaught of holiday receptions. In 2013, calligraphers hand-addressed 10,000 envelopes for the season. 6. They prepare for emergencies. 7. The team does about 40 percent of its work by hand. The rest is done on the computer when tight deadlines demand it. 8. They stash an arsenal. Calligrapher Rick Muffler’s toolbox contained 28 pen holders, eight brushes, a bunch of nibs, and one hair dryer, which he used to make the ink dry faster. 9. Which even includes a copier. It’d be impractical not to use one. 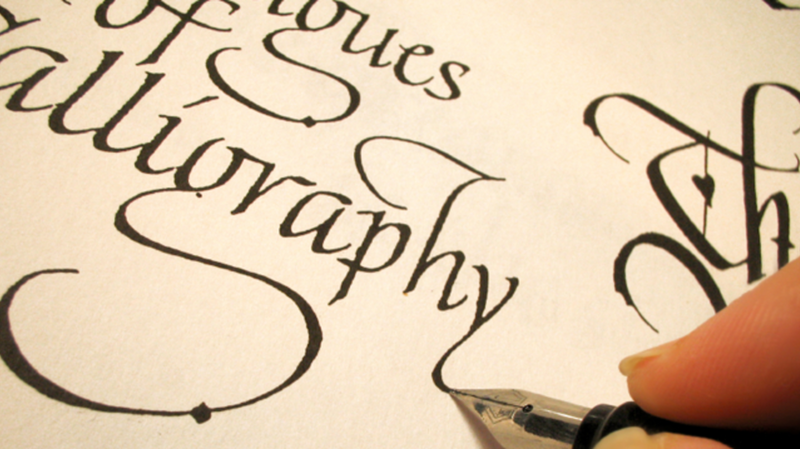 After a calligrapher designs an invitation, for example, the design is sent to an engraver, who copies it. The copies return to the calligrapher, who grabs a pen and personalizes the invitation with the guest’s name, matching the original hand style. 10. The scripts are called “hands,” not fonts. Which, considering calligraphers are using their hands, makes sense.